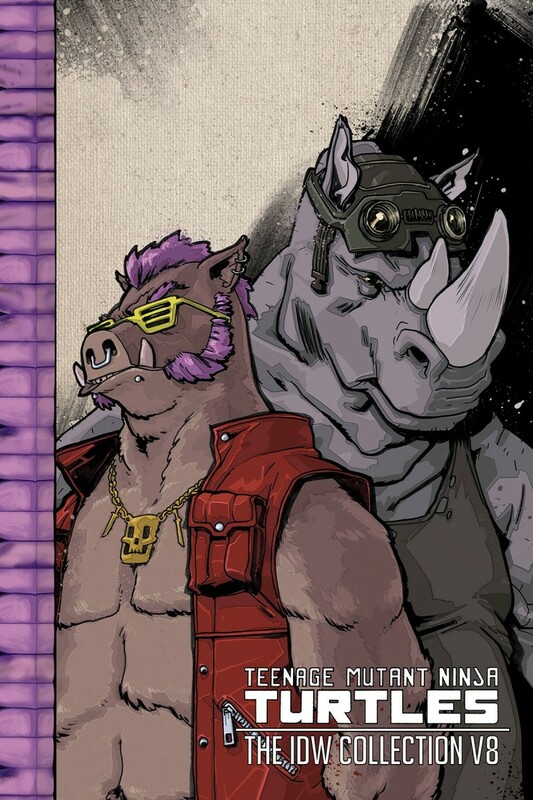 Bebop and Rocksteady stumble across a time-travel scepter, kickstarting the craziest, most destructive adventure yet! Then, when a mysterious new mutant targets Baxter Stockman, it will be up to the TMNT to reluctantly save him, but little does anyone know that a larger trap is being laid by a new arch-foe. Plus, Donatello reboots a new and improved Metalhead only to find that the robot no longer functions entirely as designed.